Shares of Arrowhead Research took a beating yesterday after preliminary data from the RNA interference drug developer’s Phase 2a trial of its hepatitis B treatment disappointed Wall Street investors. 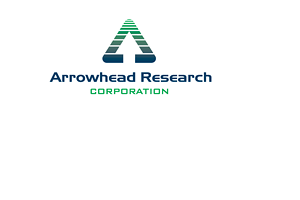 Arrowhead (NASDAQ: ARWR)—which is based in Pasadena, CA, but has its core R&D team in Madison, WI—saw its shares fall as low as $5.47 yesterday, a 54 percent dive from $11.92 per share at the opening bell. The stock closed Wednesday at $7.03 per share and was trading around $7.30 this morning. Arrowhead investors were shaken after early data from the company’s Phase 2a trial of its drug ARC-520 were released in a late-breaking abstracts report from the American Association for the Study of Liver Diseases, which is holding its annual meeting in Boston in November. RNA interference (RNAi) drugs aim to silence disease-related genes before they can make proteins tied to disease. Arrowhead’s approach is to use what are called dynamic polyconjugates to deliver small interfering RNA (siRNA) drugs. Its lead candidate attacks hepatitis B by reducing the production of viral antigens that are believed to suppress the immune system. The idea is to stop those viral antigens so the immune system can more effectively battle the disease. 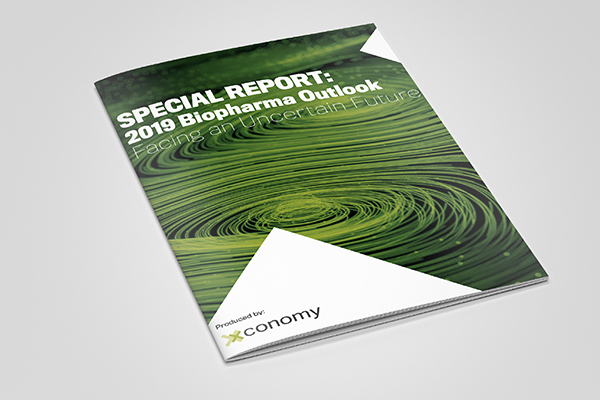 The early data released yesterday showed that the drug reduced levels of virus in the blood, but obviously not by as much as investors had hoped. In response to the data, Deutsche Bank lowered its price target for Arrowhead stock from $45 to $20, but maintained its “buy” rating, according to a Benzinga article. Deutsche Bank analysts “see higher risk, but do not think the program is dead,” according to the bank’s report quoted by Benzinga. In a letter to shareholders today, Arrowhead president and CEO Christopher Anzalone said market reaction to the data “took us by surprise” because company leaders felt their public statements had been consistent and reflected the data seen in the first two cohorts of patients in the Phase 2a trial. “We still believe that, but the market clearly expected something different and/or misunderstood the data,” Anzalone wrote. Anzalone pointed out that the company’s target of 90 percent viral antigen “knockdown” was based on a review of the available scientific research, but that it’s a “somewhat arbitrary goal” since it’s still unknown what level the immune system needs to “potentially enable a functional cure” of hepatitis B. “There is still much we do not know about ARC-520 and how effective a therapy it may be one day, but there are some important things that we do know,” Anzalone wrote, including that the drug seems to be well tolerated by patients at all doses tested so far, which will allow the company to test the effects of higher doses. “The drug appears to do what it is designed to do,” he added. Arrowhead is trying to succeed in an RNAi field that enjoyed a lot of hype and billions of investment dollars over the last decade, but which has struggled to produce clinically successful drugs. The main issue has been how to deliver the drugs to the right cells. The liver is the only area where scientists have been able to effectively deliver such treatments. Arrowhead, which is targeting a liver disease in hepatitis B, has raised Wall Street’s hopes that it will produce an effective RNAi drug—the company is valued around $400 million, and its stock has traded as high as $27.63 in the past year. The next big test for the company will be the release of more Phase 2a study data at next month’s conference.